At #2 Hastings Street we take pride in making you feel welcome Self Contained Noosa Accommodation & helping you make your holiday the best ever. 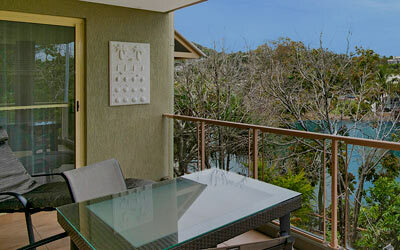 Located at the western end of the world famous Hastings Street, these tastefully decorated 2 Bedroom, 2 Bathroom apartments are uniquely positioned across the road from the golden sand and surf of Main Beach & Laguna Bay on the Noosa River and nestled on the edge of the Noosa Woods Reserve. A perfect location for your rest & rejuvenation. Perfect for Couples or Families. We have a private, secure & undercover Car Park for our Guests (one vehicle per apartment) plus there is a Public Car Park in front of our Office. All Apartments have a tiled Balcony, perfect to catch the Sea Breeze and enjoy the outdoors. 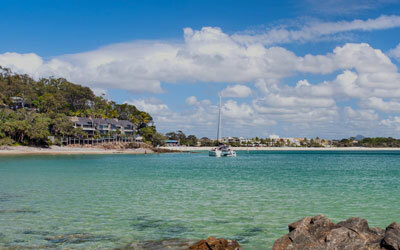 Noosa is approximately a 1 hour, 45 mins’ drive north of Brisbane Airport and 30 mins north of the Sunshine Coast’s domestic Airport, which is located near Maroochydore. Free Unlimited Wifi and Free use of Boogie Boards, Beach Chairs & Umbrellas. #2 Hastings Street offers the perfect combination of lifestyles. Enjoy the charm of the beautiful Noosa River with walkways, bike paths, picnic & BBQ facilities, Noosa main beach plus the relaxing atmosphere of Noosa itself. 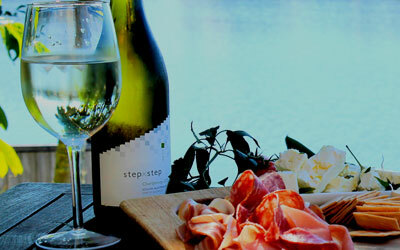 Indulge your taste buds the vast array of culinary delights available in Noosa and Noosaville.